The problem with reviewing re-mastered editions of old videogames is that I never know what standards to hold them to. Do I compare this third person shooter, based on a 1980’s British comic book, with the games that were released at the same time —April 2006? That was only seven months before Gears of War came out and changed that genre forever. Alternatively, do I compare this redux to the games of April 2017… on any month of 2017? The former feels like the kindest way of approaching Rogue Trooper Redux, but it would be useless to those of you reading this to for buying advice. The latter would result in a far more accurate review, but it would be like shooting fish in a barrel; provided you drain all the water out of the barrel and fill the empty space with more fish. I don’t review games for the chance to verbally assault them. Actually, I want to live in a world were reviews would be pointless because all games would be perfect tens, but we don’t live in that world; more importantly, Rogue Trooper Redux is nowhere near a ten. To be fair to the game, I would like to begin by pointing out that TickTock Games, a UK based developer that offers development support to other studios, did make a lot of smart changes to this redux that are very positive. The visuals have been overhauled to a point that I found shocking, and that is no small feat. 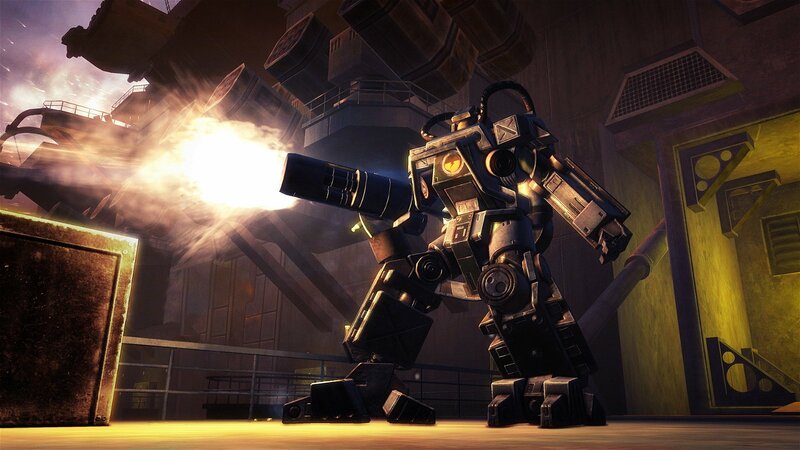 You won’t be able to compare them to something like Uncharted 4, but they are leaps and bounds above what Rogue Trooper launched with on the original Xbox and PS2. They changed the cover system to be far more automatic. The controls have been updated to follow the standard button assignments that we have all agreed on in 2017. This is something I really appreciated, since back in 2006 people were still experimenting with controller layouts, and most experiments—regardless of the industry—will fail. The voiceover work and music in this game will not stand out in any way, but it is implemented well. I am not sure how much extra work TickTock Games had to do, but they made the inclusion of the audio in this game seem effortless. The game also loads extremely fast in most cases, so there is not much downtime when you are playing this redux. Sadly, most of these improvements do not address the core gameplay that earned the original Rogue Trooper an aggregated score of high 60s and low 70s—depending on the console version—from websites like Metacritic and GameRankings. What was good in 2006 has long since been replaced by a decade of better gameplay. For example, the AI in Rogue Trooper Redux will not react to you, even if you are standing in plain sight, unless you are practically on top of them. The only exception to this are the handful of snipers across the game who seem to be able to track you with all the clairvoyance of Ms. Cleo. This probably means that the average AI grunt in this redux was toned down because they could not be handled otherwise, but that just implies covering other issues. My guess is that shooting and moving is what is being covered up since shooting does not feel accurate, and the movement can be sluggish. Comparing the controls of Rogue Trooper Redux to modern gameplay is like driving a Porsche 911 GT3 and then climbing behind the wheel of a fully loaded Hyundai Pony. Both have four wheels and consume gas; however, one has been engineered in a way that makes it turn better. The shooting also misses the mark; so much so that halfway through the game I stopped using cover. The most effective way of dealing with the common trooper is to stand in the open and shoot at them. They are not very accurate—although neither are you—so in most cases you will win just by shooting until everyone is dead. In the few cases that this doesn’t work, using a med-pack mid-fight will be more than enough to ensure victory. 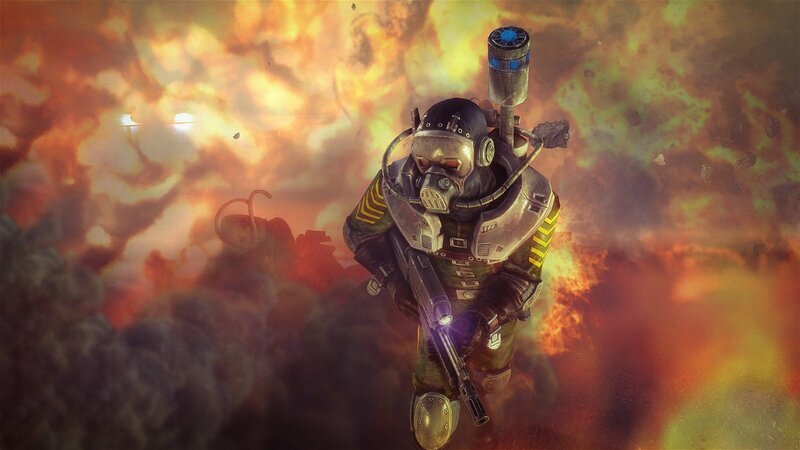 There are also heavier troopers, who sometime act as level bosses. They are not as easy to defeat with what you’re carrying on your back, but I never had much problem with them. Rebellion Developments was kind enough to leave massive turret emplacements close to anything more threatening than a cat. Although, I feel lucky that the issue that bugged me the most happened the least. Most of Rogue Trooper Redux happens on outdoor battlefields, along the banks of oceans, or in massive cities. I do have to give credit to Rebellion Developments for the effort they made in 2006. They took the time to give players a good variety of spaces to play in and missions to complete, and that remained intact for this release. That said, there are occasions when you will fight in close corner environments, like hallways, and it is very easy for the avatar of Rogue to completely block the screen in these situations. This doesn’t happen often, but when it does it might be the worst thing to happen to me in a game this year. I think the developers knew this was a problem since the game is smart enough to make the avatar of Rogue translucent at times, but it’s never enough to solve the problem since the dark blue mass on the screen will still make it impossible to tell what is going on. I should also mention that this game has a multiplayer mode, but there were not that many people playing it. The premise is the well-known horde mode for which history has credited Gears of War, but apparently, it showed up here seven months earlier. The gameplay of this online mode includes a lot of shooting bad guys who approach in waves, but it’s not that fun for the very same reasons that the campaign was not that enjoyable. 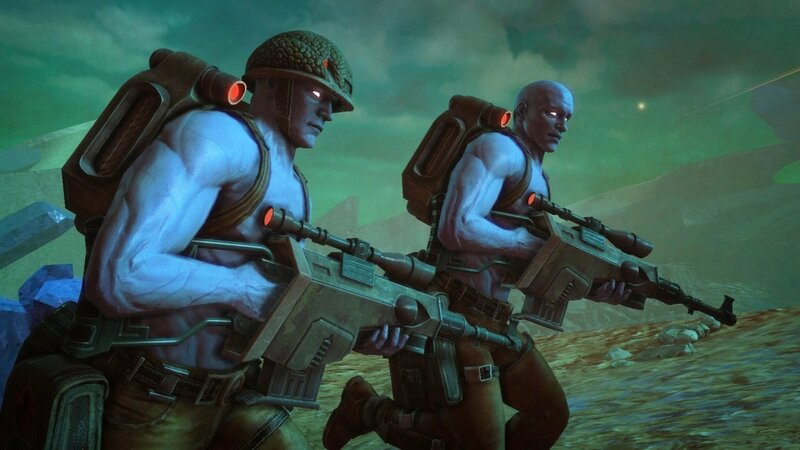 Rogue Trooper Redux uses slow and sluggish gameplay to battle ineffective AL opposition, to complete a story that wasn’t that interesting. It’s a cocktail of mechanics that is not much fun. 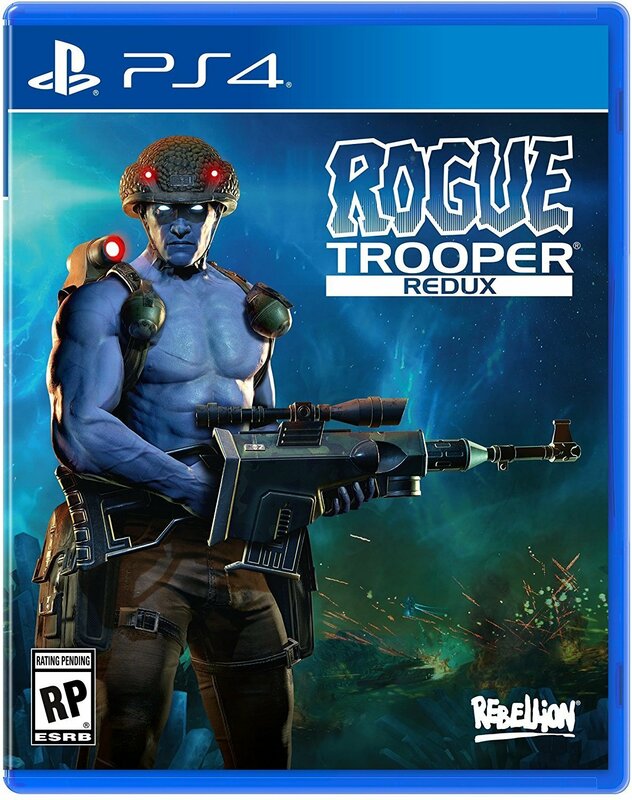 I don’t really understand the reason for releasing Rogue Trooper Redux. The gameplay is certainly not the reason to bring this game back, so I am guessing it’s to feed content starved Rogue Trooper fans. Except, if I was a fan of Rogue Trooper I would be insulted at the level of attention this franchise has received from the videogame industry. 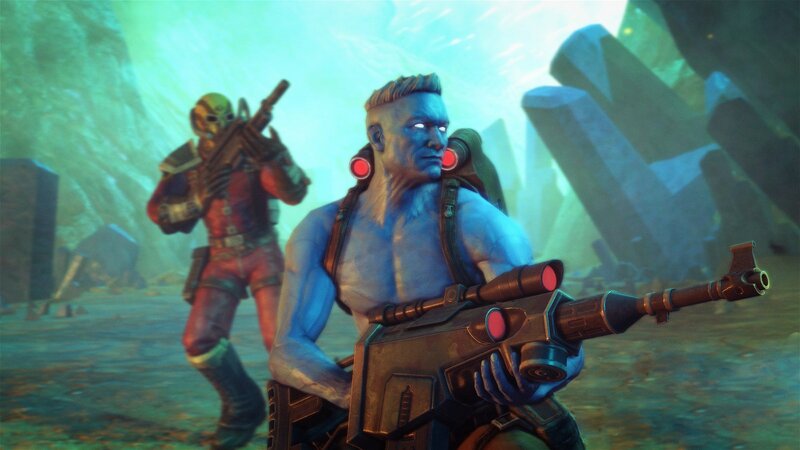 Since the release of Rogue Trooper in 2006, fans have only been given two reboots of the original game. That’s right! This isn’t even the first time Rogue Trooper has been ported to another console. The first remake, Rogue Trooper: Quartz Zone Massacre was released worldwide on the Nintendo Wii in 2009. In the end, I would suggest you go track down and play that version of the game instead. You can probably buy the Wii console and the game for less than $40, you won’t be rewarding the bad decisions of otherwise decent companies, and at least you would have an interesting story to tell about tracking down a Wii. Liked this article and want to read more like it? Check out Brian’s reviews for Destiny 2, Madden NFL 18, and Gigantic!